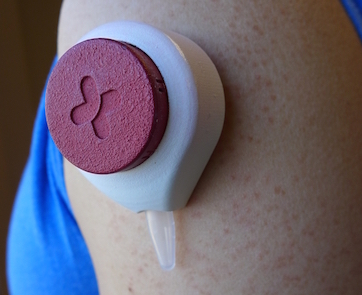 Tasso Incorporated in Madison, Wisconsin has created the HemoLink, a home medical device “about the size of a ping pong ball” that uses vacuum pressure instead of needles to gather enough blood to test for such concerns as cholesterol, infection and blood sugar. With the funding they received from DARPA and the National Institutes of Health, Tasso hopes to bring HemoLink to market by 2016. About 30 paramedics from Milwaukee-area and Madison fire departments are receiving training for a new program officials hope will help reduce the number of repeat emergency calls from chronically ill people. The goal of the Mobile Integrated Healthcare Program is to prevent chronic health issues from escalating to expensive trips to emergency rooms. Community paramedics, as they’re called, make home visits to those identified as frequent callers for emergency medical services and work with them to better manage their chronic health conditions, such as asthma, congestive heart failure or diabetes. Of the 62,763 calls for emergency medical services last year, 7% (4,288 responses) were for the same 100 people, according to an analysis by the Milwaukee Fire Department. A first of its kind study on the benefit a Boston emergency department has seen from its distribution of naloxone rescue kits to reverse opioid overdoses during 2011 has been published on the website of the Western Journal of Emergency Medicine and the University of California’s eScholarship. Are rural closures the most overlooked problem in U.S. health care? On a sizzling July afternoon, Bob Zellner and Adam O’Neal walked side by side along the shoulder of a state highway in central Virginia. Most of the passing motorists recognized neither the civil rights icon who was mentored by Rosa Parks and Ella Baker nor the Republican mayor of Belhaven, North Carolina. So why was a conservative like O’Neal taking a two-week protest trek to Washington, D.C., with a self-described radical like Zellner? What could possibly unite these two dissimilar men? The answer is a species that few realize is now endangered: the American rural hospital. According to a recent report from the University of North Carolina’s Sheps Center, 34 rural hospitals have closed since 2013, over 80 percent of them in states that have refused to expand Medicaid. The American Rural Healthcare Association estimates that as many as 283 more hospitals could be forced to close their doors by the end of 2015 if something does not change. Though the total cost to keep the doors open varies by hospital, O’Neal and Zellner argue the money to keep most of them open is already available through the Affordable Care Act. Only the politics of ObamaCare stands in the way. Once home to vibrant downtowns, along with thriving local manufacturers and merchants, small towns were traditionally strongholds of the American middle class. In recent decades, many barely managed to hold on as young people migrated to cities and those who stayed behind had trouble even finding work. Now, however, those towns that have been able to attract hospitals and other health care facilities have emerged as oases of economic stability across the nation’s heartland. Over half of people receiving medical scans such as X-rays do not know if they are exposed to radiation and many have unanswered questions even as they are waiting to undergo the test, a small U.S. survey found. Previous studies have shown that when patients have more information and can share in the decision-making process, they have less anxiety and more satisfaction with their treatment, the study authors write in the Journal of the American College of Radiology.